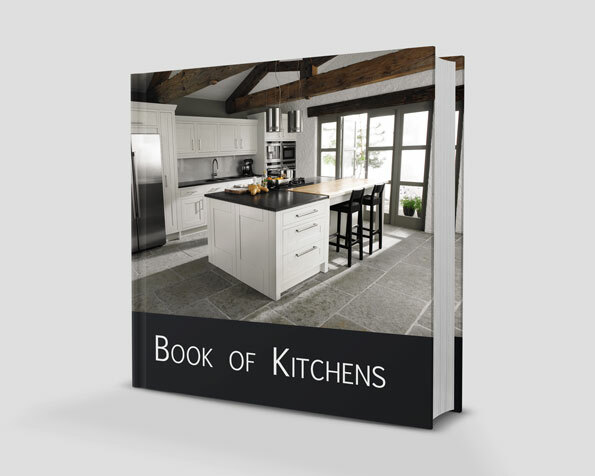 This page (together with the documents referred to on it) tells you the terms and conditions on which we supply any of the Products (Products) listed on our Website www.kitchenemporium.co.uk (our site) to you. Please read these terms and conditions carefully and make sure that you understand them, before ordering any Products from our site. You should understand that by ordering any of our Products, you agree to be bound by these terms and conditions. Edit or otherwise modify any material on the website, or redistribute material from this website except for content specifically and expressly made available for redistribution (such as our newsletter). Where content is made specifically made available for redistribution, it may only redistributed within your organisation. 1.1. We operate the Website www.kitchenemporium.co.uk. We are Solidcraft Ltd, a company registered in England and Wales under company number 03517749, VAT Registration Number 748754386 and with our registered office at Unit 23/24 Brindley Road Ind. Est. Reginald Road, St Helens, Merseyside WA9 4HY. Our main trading address is 104-106 Ormskirk Road, Newtown, Wigan, Lancashire, WN5 9EB. 1.2. Our trading name is Kitchen Emporium. 1.3. We also operate an email help service to deal with enquiries and after sales issues for those customers who wish to purchase or have purchased Products as listed on our site. Our email address is info at kitchenemporium.co.uk. 2.4. you are resident in the United Kingdom. 3. Samples, Quotations & Email Assistance. 3.1. We may, on our site or on request, provide to you samples, descriptions and/or drawings of the Products or advertising catalogues or brochures, these are produced solely to provide you with an approximate idea of the Products they describe. They are not provided to give an indication of the quality, size, colour or description of the Products which are for sale on our site. 3.2. Certain samples are subject to a small charge which will be notified to you at the time the sample is requested. Such charge will be refunded either when a full order is made and Dispatch Confirmation sent or when they are returned to us, in either case, provided they are returned to us in good and resalable condition and you have complied with your obligations under the Contract. 3.3. Any quotation given for the Products is given on the basis that a binding contract shall only come into existence in accordance with clause 4. A quotation shall be valid for a period of 30 calendar days from its date of issue unless we notify you in writing that we have withdrawn it during this period. 3.4. As set out in clause 1.3 above, we provide an email help service. This service is there purely to answer enquiries and provide advice and assistance to you in relation to our Products. It does not create any further obligations to you from us contractual or otherwise, unless any such representations made are agreed with you in writing by a director or our company. Save in relation to fraud or fraudulent misrepresentation, we shall have no liability for any representations not agreed in writing, even if they prove untrue or misleading. 4. How the Contract is Formed Between You & Us. 4.1. After placing an order, you will receive an e-mail from us acknowledging that we have received your order. Please note that this does not mean that your order has been accepted. Your order constitutes an offer to us to buy Product(s) subject to these terms and conditions. All orders are subject to acceptance by us, and we will confirm such acceptance to you by sending you an e-mail that confirms that the Product has been dispatched (Dispatch Confirmation). The Dispatch Confirmation will include an order number, please quote this order number in all subsequent correspondence between us. The contract between us (Contract) will only be formed when we send you the Dispatch Confirmation. 5.1. Please note that some of the Products belong to third party sellers. In some cases, we accept orders as agents on behalf of those third party sellers. The resulting legal contract is between you and that third party seller, and is subject to the terms and conditions of that third party seller, which they will advise you of themselves. You should carefully review their terms and conditions applying to the transaction. 5.2. We shall not be liable for any losses that result from the failure of third party Products to perform or where such Products are defective. We will however, transfer to you such rights as we have against such third party sellers and, so far as we are able, without incurring any costs, we will assist you in rectifying the situation with the third party supplier. 5.3. We may also provide links on our site to the Websites of other companies, whether affiliated with us or not. We cannot give any undertaking that Products you purchase from third party sellers through our site, or from companies to whose Website we have provided a link on our site, will be of satisfactory quality, and any such warranties are DISCLAIMED by us absolutely. This DISCLAIMER does not affect your statutory rights against the third party seller. We will notify you when a third party is involved in a transaction, and we may disclose your personal information related to that transaction to the third party seller. 6.1. If you are contracting as a consumer, you may cancel a Contract at any time within seven working days, beginning on the day after you received the Products unless the Products are made to your specification, made to order or have been clearly personalised (which shall be dealt with in accordance with clause 6.3). If the Products are not made to your specification or personalised, you will subject to the Products being returned unused, in their original packaging and in the condition they were delivered to you, receive a full refund of the price paid for the Products in accordance with our refunds policy (set out in clause 10 below). 6.2. To cancel a Contract, you must inform us in writing. You must also return any samples and Products to us as soon as reasonably practicable, and at your own cost. You have a legal obligation to take reasonable care of the Products while they are in your possession. If you fail to comply with this obligation, we may have a right of action against you for compensation. 6.3. Where the Products have been made to your specification or clearly personalised you do not have the right to cancel the Contract unless the provisions of clause 10.2 apply. 6.4. Details of your legal rights, and an explanation of how to exercise them, are available from your local Citizens’ Advice Bureau or trading standards office. This provision does not affect your other statutory rights as a consumer. 7.1. We will use all reasonable endeavours to fulfil your order between or on the delivery dates set out in the Dispatch Confirmation or, if no delivery date is specified, then within a reasonable time of the date of the Dispatch Confirmation, unless there are exceptional circumstances and the delivery is affected by factors beyond our control. 7.2. In certain circumstances were Products are provided by third party sellers they are responsible for delivery of those Products. We shall not be liable for any delay or failure of delivery in these circumstances and the provisions of clauses 5.1 and 5.2 apply. 7.3. Delivery dates are not guaranteed and we will let you know if we become aware of an unexpected delay and will arrange a new delivery date with you. 7.4.3. where delivery has taken place as agreed but we were unable to leave the Products we will have the right to any additional delivery charges if you require a further delivery at a later date. 7.5. If you have not taken delivery of the Products within two weeks of our notifying you that they are ready, we may, after giving you reasonable prior notice in writing, resell or otherwise dispose of part or all of the Products and, after deducting reasonable storage and selling costs, or the price if they are bespoke Products and cannot be resold, pay you for any excess over the price of the Products or charge you for any shortfall below their original price. 7.6. If we are not able to deliver the whole of the order at one time due to operational reasons or shortage of stock, we will deliver the order in instalments. We will not charge you extra delivery costs for this. If you ask us to deliver the order in instalments, we may charge you extra delivery costs. Each instalment shall constitute a separate Contract. If we are late delivering an instalment or one instalment is faulty, that will not entitle you to cancel any other instalment. 7.7. Upon delivery of the Products you are responsible for inspecting the Products and reporting to us within 2 working days any alleged defect, fault or error before the Products are used or fitted. We shall have no liability for any claim in respect of an alleged defect, fault or error which would be apparent on inspection before use or fitting. 8.2. Ownership of the Products will only pass to you when we receive full payment in cleared funds of all sums due in respect of the Products, including delivery charges. 9.2. Product prices include VAT. 9.5. If the pricing error is obvious and unmistakable and could have been reasonably recognised by you as an error, we do not have to provide the Products to you at the incorrect (lower) price. 9.6. Payment for all Products must be by credit or debit card. We accept all major credit and debit cards with the exception of American Express. 10.1.1. Please ensure that all damages and any missing items are reported by email with in 24 hours of receiving your goods, due to the nature of the product we provide we will not accept any damaged or any missing items after this time. We encourage all our customers to check each product before signing for them as you will be signing to acknowledge that all the items are present and in good condition. 10.1.2. We will not replace any item that has been fitted, drilled or modified in any way. Please carefully check every product before fitting, drilling or making any modification to it. 10.1.3. Any damaged or missing items must be reported at the same time, if you have already reported an item and we have made arrangements to replace that item, we will not accept more at a later date. Please check all of your products before reporting any damages. Some doors may have a clear protective film over them for protection, please make sure you have removed this before reporting it as damaged, it can some times give the illusion that the door is scratched. 10.2. It is advisable when returning any item(s) to us you cover with the appropriate additional insurance to cover the total item(s) value. If this additional cover isn’t applied to item(s) that are returned to us we cannot be held responsible for any damage that may occur in transit by the carrier. 10.3. If you return a Product to us because you have cancelled the Contract between us within the seven-day cooling-off period (see clause 6.1 above), we will process the refund due to you as soon as possible and, in any case, within 10 days of the day on which you returned the Products to us. In this case, we will refund the price of the Product in full, and any applicable delivery charges. However, you will be responsible for the cost of returning the Products to us. Products returned after the 10 day period will be subject to a restocking charge of up to 25%. Business Purchase: If the purchase was made by or on behalf of a company/business then all returned products will incur a 25% restocking fee and no delivery charges will be refunded. No items can be returned after 14 days of the receipt of the items. 10.5. We will usually process any refund due to you as soon as possible and, in any case, within 30 days of the day we confirmed to you via e-mail that you were entitled to a refund. We will, where we agree a refund, refund the price of a defective Product in full, any applicable delivery charges and if relevant, any reasonable costs you incur in returning the item to us. 10.6. We will usually refund any money received from you using the same method originally used by you to pay for your purchase. 10.7. These terms and conditions will apply to any repaired or replacement Products we supply to you. 10.8. Should a discount be applied to your order, a percentage or fixed amount, any items refunded will be minus any discount you received. Where a fixed amount discount is applied, this discount will be equally divided as a percentage. This discount will then be deducted from the original selling price at the time of order. 11.1. We warrant to you that any Product purchased from us through our site will, on delivery, conform in all material respects with its description, be of satisfactory quality, and be reasonably fit for all the purposes for which Products of that kind are commonly supplied. 11.2.6. any incorrect instructions or plans submitted by you on our site to enable us to provide the Products. 11.3. Our site is provided on an “as is” basis and we make no representations or warranties of any kind in respect of our site, including, without limitation, any warranties relating to accuracy or completeness of our site or suitability of the information provided. 12.1. Subject to clause 12.4, if we fail to comply with these terms and conditions, we shall only be liable to you for the purchase price of the Products and, subject to clause 12.2, any losses that you suffer as a result of our failure to comply (whether arising in contract, tort (including negligence), breach of statutory duty or otherwise) which are a foreseeable consequence of such failure. 12.2.6. waste of management or office time. However, this clause 12.2 will not prevent claims for loss of or damage to your physical property that are foreseeable or any other claims for direct loss that are not excluded by categories 12.2.1 to 12.2.6 inclusive of this clause 12.2. 12.3. We only supply the Products for domestic and private use. You agree not to use the Products for any commercial, business or re-sale purpose, and we have no liability to you where Products are used other than for domestic and private use. 12.4.5. any other matter for which it would be illegal for us to exclude or attempt to exclude our liability. 12.5. Where you buy any Product from a third party seller through our site, the seller’s individual liability will be set out in the seller’s terms and conditions. 12.6. You are responsible for installing the Products in your property and we will not be responsible for any damage caused to the Products or your property arising during the course of installation. 12.7. Where products are ordered by you and manufactured to your specific measurements we accept no liability where you have failed to allow adequate room for ventilation or ordered incorrect sizes. 13.1. Please note all items are priced in pounds sterling, for international orders any additional charges you may incur for conversion from your currency to pounds sterling is your own responsibility. 13.2. If you order Products from our site for delivery outside the UK, they may be subject to import duties and taxes which are levied when the delivery reaches the specified destination. You will be responsible for payment of any such import duties and taxes. Please note that we have no control over these charges and cannot predict their amount. Please contact your local customs office for further information before placing your order. 13.3. Please also note that you must comply with all applicable laws and regulations of the country for which the Products are destined. We will not be liable for any breach by you of any such laws. 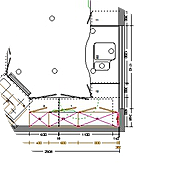 Should our site allow you to provide your own specific measurements and specifications, or provides you with the opportunity to send to us any special requirements or instructions you may have. Please ensure all of these are completed fully and accurately as we shall not be liable for any defects or incorrect Products delivered as a result of your failure to provide correct information to enable us to deliver the Products in accordance with the Contract. 16.1.3. one or more of the Products you ordered was listed at an incorrect price due to a typographical error or an error in the pricing information received by us from our supplier. 16.2. If we do cancel your Contract we will notify you by e-mail and will re-credit you account by any sum deducted by us from your credit card as soon as possible but in any event within 30 days of your order. We will not be liable to pay any additional compensation for disappointment suffered. 16.3. When we or our suppliers have insufficient stock to deliver the Products you have ordered or such Products have been discontinued we reserve the right to provide substitute Products to you of the equivalent quality and price at our discretion instead of exercising our right to cancel in condition 16.1 above. If you, as a consumer exercise your right to cancel as set out in condition 6 the cost of returning such substitute Products to us will be met by us. All notices given by you to us must be given to Solidcraft Ltd at our address set out above or by email to [email protected] We may give notice to you at either the e-mail or postal address you provide to us when placing an order, or in any of the ways specified in clause 14 above. Notice will be deemed received and properly served immediately when posted on our Website, 24 hours after an e-mail is sent, or three days after the date of posting of any letter. In proving the service of any notice, it will be sufficient to prove, in the case of a letter, that such letter was properly addressed, stamped and placed in the post and, in the case of an e-mail, that such e-mail was sent to the specified e-mail address of the addressee. 19. Events outside our control. 20.1. If we fail, at any time during the term of a Contract, to insist upon strict performance of any of your obligations under the Contract or any of these terms and conditions, or if we fail to exercise any of the rights or remedies to which we are entitled under the Contract, this will not constitute a waiver of such rights or remedies and will not relieve you from compliance with such obligations. 20.2. A waiver by us of any default will not constitute a waiver of any subsequent default. 20.3. No waiver by us of any of these terms and conditions will be effective unless it is expressly stated to be a waiver and is communicated to you in writing in accordance with clause 14 above. 22.1. These terms and conditions and any document expressly referred to in them constitute the whole agreement between us and supersede all previous discussions, correspondence, negotiations, previous arrangement, understanding or agreement between us relating to the subject matter of any Contract. 22.2. We each acknowledge that, in entering into a Contract, neither of us relies on, or will have any remedies in respect of, any representation or warranty (whether made innocently or negligently) that is not set out in these terms and conditions or the documents referred to in them. Any changes to the specification of the Products or variations to the contract or these terms and conditions that you agree with our authorised employees or agents will only be binding if recorded in writing and signed by a director of the company. 22.3. Each of us agrees that our only liability in respect of those representations and warranties that are set out in this agreement (whether made innocently or negligently) will be for breach of contract. 22.4. Nothing in this clause limits or excludes any liability for fraud. 23. Our Right to Vary These Terms & Conditions. 23.1. We have the right to revise and amend these terms and conditions from time to time to reflect changes in market conditions affecting our business, changes in technology, changes in payment methods, changes in relevant laws and regulatory requirements and changes in our system’s capabilities. 23.2. You will be subject to the policies and terms and conditions in force at the time that you order Products from us, unless any change to those policies or these terms and conditions is required to be made by law or governmental authority (in which case it will apply to orders previously placed by you), or if we notify you of the change to those policies or these terms and conditions before we send you the Dispatch Confirmation (in which case we have the right to assume that you have accepted the change to the terms and conditions). Please note that all calls made to and from Solidcraft Ltd are recorded for quality and training purposes. 27. Images, Pictures, and Illustrations. All images, pictures, and illustrations found on this site www.kitchenemporium.co.uk are for illustration purposes only, and do not necessarily represent the exact products, or colours presented. Styles and colours may vary on individual products. 28. Licence to use website. You must not use our website to copy , store, host, transmit, send, use, publish or distribute any material which consists of (or is linked to) any spyware, computer virus, Trojan horse, worm, keystroke logger, rootkit or other malicious computer software. You must not conduct any systematic or automated data collection activities (including without limitation, scraping, data mining, data extraction and data harvesting) on or in relation to our website without our express written consent. You must not use our website to transmit or send unsolicited commercial communications. 30. Links to other websites. Solidcraft Ltd is compliant with the Data Protection Act. We will not pass on any of your details to any third party without your consent. We will try to make the website error-free. However, due to the nature of the internet, this cannot be guaranteed. Also, your access to the website may be occasionally suspended or restricted to allow for repairs, maintenance, or the introduction of new facilities or services. We will try to keep this to a minimum. You grant to us a worldwide, irrevocable, non-exclusive, royalty-free licence to use, reproduce, adapt, publish, translate and distribute your user content in any existing or future media. You may also grant to us the right to sub- licence these rights, and the right to bring an action for infringement of these rights. You must not submit any user content to the website that is or has ever been the subject of any threatened or actual legal proceedings or similar complaint. We reserve the right to edit any material submitted to our website, or stored on our servers, or hosted or published upon our website. By applicable law we exclude all representations, warranties and conditions relating to this website and the use of this website (including, without limitation, any warranties implied by law of satisfactory quality, fitness for purpose and/or the use of reasonable care and skill).